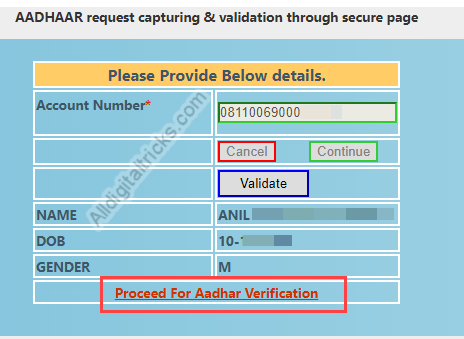 In this article, you will tell you how to link the Aadhaar card with Punjab National Bank Account without visiting bank. The government of India has made it mandatory for all bank account holders to link their Aadhar card with bank account, if you do not do so, your account will be deactivated and you will not be able to withdraw or deposit money. Not only bank account, it is important to link your Aadhaar with mobile number, PAN card and all other government schemes such as insurance, PPF etc. PNB account holders can follow this process and link their aadhaar card with bank account online. 1 First of all you have to visit below link. 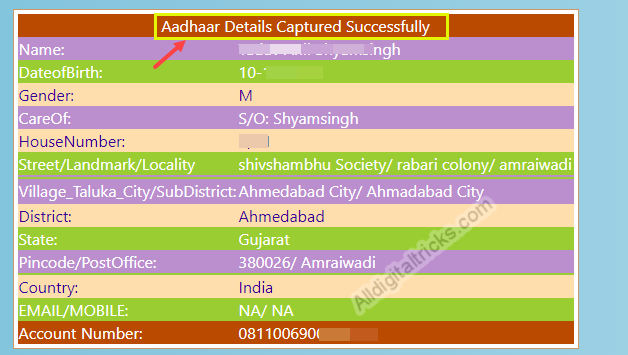 This is OTP based aadhaar-seeding portal. 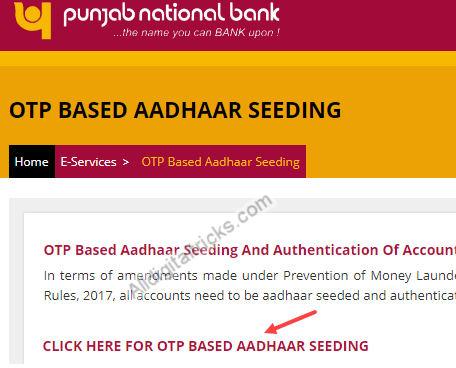 Here you have to click on “CLICK HERE FOR OTP BASED AADHAAR SEEDING“. 2 In the next screen you have to type your account number. Type the account number and click continue. 3 Next you have to enter the OTP which will come on your registered mobile number. 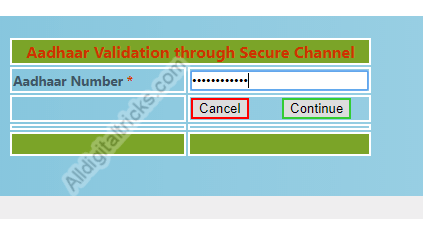 Type captcha and click on Validate. 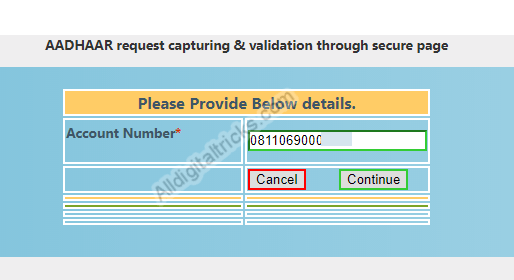 4 On the next screen you can see your name, DOB, here you have to click on “Proceed For Aadhaar verification“. 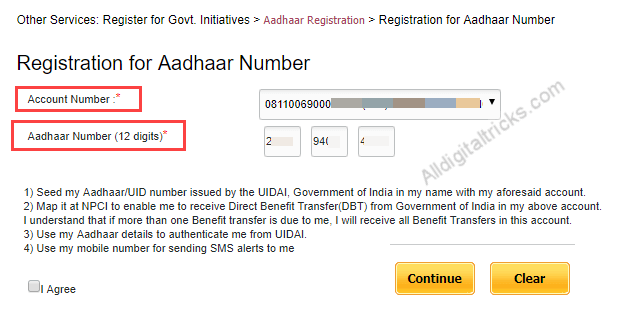 5 In the next screen you have to type your 12-digit Aadhar number and click on continue. 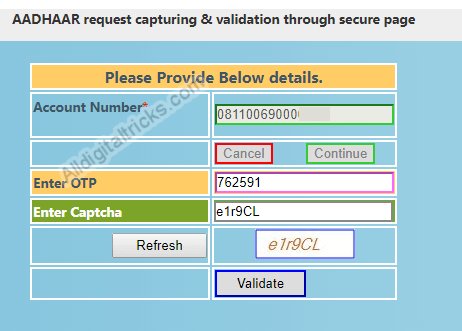 6 Now on the next screen you will receive an OTP on your Aadhaar card registered mobile number, type OTP and click on validate. 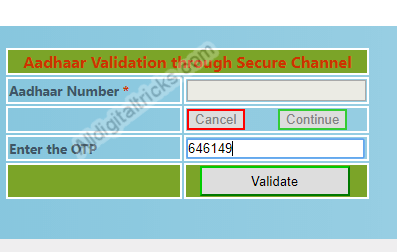 After clicking on validate, click OK in the popup box. Done, your Aadhaar Card linked to your PNB account, you can see successful message. 1: Login to Net Banking First. 3: Now in the next screen you have to select your account number and type your 12-digit Aadhar number then click continue. 4: Now confirm your details and click on Submit. 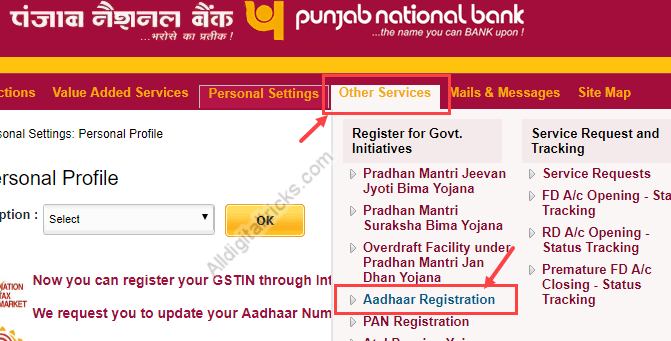 So by following above two methods you can link your Aadhaar card with Punjab national bank account online, no need to visit bank.